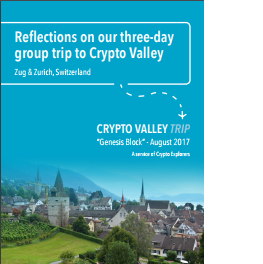 UPDATE: The 5 Crypto Valley Trip editions so far were such a resounding success that we are expanding the concept to other crypto hubs worldwide to give a global voice and experience to our speakers and participants. 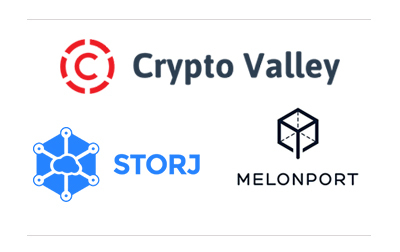 In today’s world of blockchain and crypto-finance communities, “Crypto Valley” needs no introduction– you rightly imagine an ecosystem of companies and individuals working on important themes to accelerate areas of this exploding field, amidst a breathtaking setting that is Central Switzerland. We curate an experience in which you participate, meeting top thought leaders and engaging in lots of peer-to-peer exchange with other curious, energetic and knowledgable participants. You take part in an intimate, diverse cohort of perspectives and experiences that yields a stimulating environment for intellectual exploration among peers, and with an extremely practical get-business-done approach for those inclined– lasting friendships and profitable business connections are formed. Some attendees are professional investors in this or related fields, some are academics, some are folks who happened to buy some Bitcoin at $11 (and did or didn’t wander through Mt. Gox), others may have success in other fields but demonstrate a genuine burning new interest in Crypto. 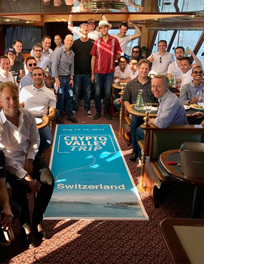 The Crypto Valley Trip is not a “you pay, you go” experience; we screen and select participants to invite, based on level of intellectual curiosity and experience in this or related fields, while attempting to keep some diversity and variety of backgrounds. The agenda for our last trip can be viewed here. Ready to Explore the Decentralized Future? Click on the button below to apply for the next Crypto Valley Trip.